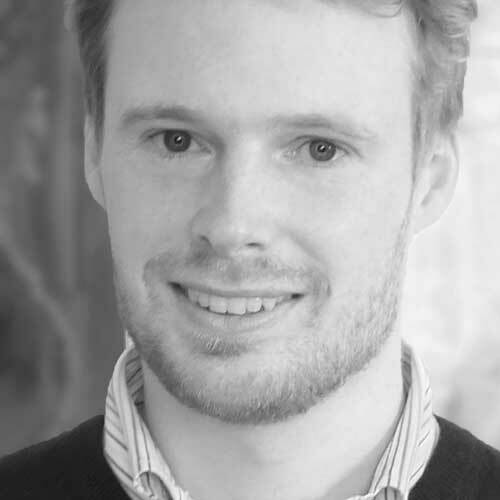 Johannes works in project management and HCI research. Project manager, consultant and usability engineer with RISE GmbH since 2009. Researcher and lecturer in the field of Human-Computer Interaction (HCI) with the DECO research group at Vienna University of Technology. Educational background in Human-Computer Interaction (HCI) and Computer Science. PhD in HCI / web form design with the DECO research group at Vienna University of Technology. Master and Bachelor studies also at Vienna University of Technology. I also studied theology at Capernwray Bible School and Vienna University but eventually chose to focus on human aspects of computing, as in human-computer interaction and project management. Project management, customer coordination, lead of requirements engineering, scrum master. Consulting in domains and disciplines including public administration, e-health, banking, web development, agile development, usability, requirements engineering. Usability engineering, user interface design, UI and UX for web and mobile applications, mockups, and usability evaluations. Experienced in small and large projects - including applications with well over 100 screens for web and mobile devices and projects staffed with well over 30 full time equivalents. Guest lecturer at Vienna University of Technology with the DECO research group. Lectures, presentations and seminars about user interface design, usability engineering, and web engineering. (Co-)supervisor of over 30 bachelor and master theses. Post-doctoral researcher in Human-Computer Interaction (HCI) with the DECO research group at Vienna University of Technology. Currently researching trust in human-computer interaction, in domains including banking (online, mobile, p2p payments), e-commerce, news, and social media, using a variety of methods including usability evaluations, gameful design, and gamified online surveys. Wimmer, C. , Biegler, S. , Harms, Johannes http://scholar.google.at/citations?user=9JAXuw0AAAAJ , Kappel, K. , Grechenig, T. (2018) SQT: A tool for the automated measurement of respondent behaviour and response quality in health-related gamified online surveys . In SeGAH 2018 IEEE 6th International Conference on Serious Games and Applications for Health. IEEE. Baldauf, Matthias https://scholar.google.at/citations?user=INdatAQAAAAJ&hl=de Adegeye, F. Alt, F. https://scholar.google.ca/citations?user=wf3Muy8AAAAJ&hl=en Harms, J. http://scholar.google.at/citations?user=9JAXuw0AAAAJ (2016) Your browser is the controller: advanced web-based smartphone remote controls for public screens. In PerDis '16 Proceedings of the 5th ACM International Symposium on Pervasive Displays. ACM. Harms, Johannes http://scholar.google.at/citations?user=9JAXuw0AAAAJ (2016) Past, Present, and Future of Form-based User Interfaces: Innovative Design for Evolving the `Form' User Interface Metaphor. PhD thesis, Faculty of Informatics at the Vienna University of Technology. Harms, Johannes http://scholar.google.at/citations?user=9JAXuw0AAAAJ , Seitz, D. , Wimmer, C. , Kappel, K. , Grechenig, T. (2015) Low-Cost Gamification of Online Surveys: Improving the User Experience through Achievement Badges. In CHI PLAY '15, Proceedings of the 2nd ACM SIGCHI annual symposium on Computer-human interaction in play. ACM. Harms, Johannes http://scholar.google.at/citations?user=9JAXuw0AAAAJ , Biegler, S. , Wimmer, C. , Kappel, K. , Grechenig, T. (2015) Gamification of Online Surveys: Design Process, Case Study, and Evaluation - INTERACT 2015, volume 9296 of Lecture Notes in Computer Science, pages 214-231. Springer. Harms, Johannes http://scholar.google.at/citations?user=9JAXuw0AAAAJ , Kratky, M. , Wimmer, C. , Kappel, K. , Grechenig, T. (2015) Navigation in Long Forms on Smartphones: Scrolling worse than Tabs, Menus, and Collapsible Fieldsets - INTERACT 2015, volume 9296 of Lecture Notes in Computer Science. Springer. Harms, Johannes http://scholar.google.at/citations?user=9JAXuw0AAAAJ , Wimmer, C. , Kappel, K. , Grechenig, T. (2014) Gamification of Online Surveys: Conceptual Foundations and a Design Method based on the MDA Framework. In Proceedings of the 8th Nordic Conference on Human-Computer Interaction: Fun, Fast, Foundational. ACM. Harms, Johannes http://scholar.google.at/citations?user=9JAXuw0AAAAJ , Wimmer, C. , Kappel, K. , Grechenig, T. (2014) Design Space for Focus+Context Navigation in Web Forms. In Proceedings of the EICS '14 ACM Symposium on Engineering Interactive Computing Systems. ACM. Harms, Johannes http://scholar.google.at/citations?user=9JAXuw0AAAAJ (2013) Research Goals for Evolving the ‘Form’ User Interface Metaphor towards more Interactivity. Human Factors in Computing and Informatics, volume 7946 of Lecture Notes in Computer Science, pages 819–822. Springer. Harms, Johannes http://scholar.google.at/citations?user=9JAXuw0AAAAJ (2010) An online wayfinding aid for the vienna university of technology. Master’s thesis, Faculty of Informatics at the Vienna University of Technology. Harms, Johannes http://scholar.google.at/citations?user=9JAXuw0AAAAJ (2008) Räumliche Datenbanken und GML. Bachelor Thesis, Faculty of Informatics at the Vienna University of Technology. Certified Project Management Professional (PMP) according to the Project Management Institute (PMI). Best doctoral consortium paper. Award won for my paper "Research goals for evolving the 'form' user interface metaphor towards more interactivity". SouthCHI conference, 2013. TUTheTop Alumnus. Participated in the TuTheTop high potential programme in 2012/13. Graduated with distinction. Alumnus of Vienna Technical University, graduated with distinction in bachelor, master and phd studies. creative commons licensed Johannes Harms This work by Johannes Harms is licensed under a Creative Commons Attribution-ShareAlike 4.0 International License. Based on a work at https://github.com/johannesharms/johannesharms.github.com/.